With technology growing and innovating year on year, most industries have been affected by some sort of industry disruption. That paired with uncertain and complex economic and political times has forced businesses either to adapt and change their ways, or resulted in failure. Companies that have chosen to shake things up and try new things have proven to be a major success, but what about the construction industry? 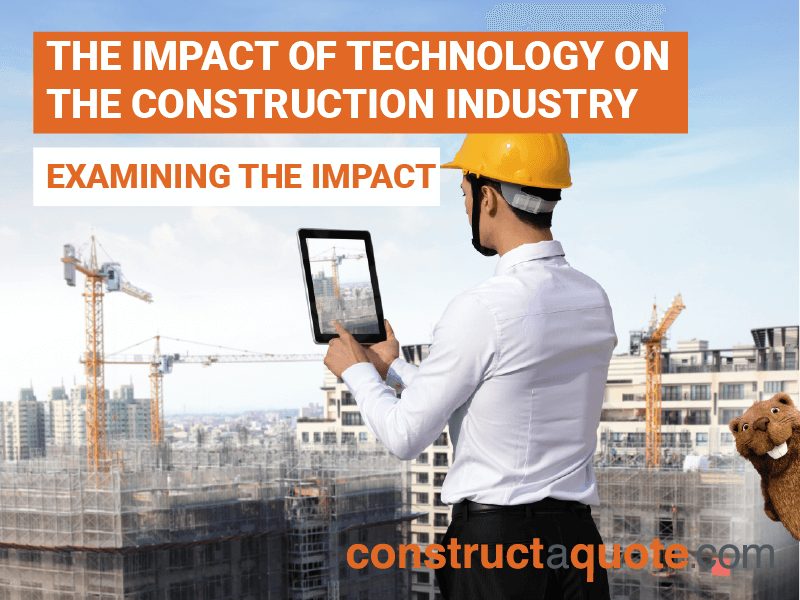 In the past decade, the construction industry has seen many changes, from the construction materials used, type of builders, to methods used to design and build new facilities – all because of advancements in technology. Sustainability has been the main driver behind construction technology with the main goal centred on how the industry can continue to develop projects on a mass scale whilst considering the effects on the environment too. Every year, more and more research is conducted to improve the longevity and safety of materials used in the construction of everything from large scale operations to our homes. From Cardiff University’s study on self-healing concrete to reflective self-cooling paint – sustainability and safety are at the forefront of developing construction materials. Green materials mean that buildings have less impact on the environment around them and are also a more cost effective solution long term saving around 50% on monthly utility bills. These include recycled materials, high efficiency pumps and motors, LED lighting, and water conserving plumbing fixtures, to name a few. Although traditional materials such as bricks, mortar and steel are still important components of most buildings, technology is also changing how materials are created and used. As well as creating sustainable materials to use in construction, the methods of producing these products have also changed due to technology. Many modern apartment buildings and hotels are built using panelled walls which are designed by computers and made in factories instead of on site. In some cases, they are even created by robots. The methods of creating these materials reduces labour costs and waste. 3D rendering software programs such as BIM allows projects to be designed digitally from start to finish. This means that the whole project team can analyse and plan the whole construction process before moving a single shovel of dirt. It also allows for step by step re-evaluation of the project and reduces the risk of any costly and timely errors. Modular and pre-fabrication (prefab) construction is a method used to construct a building in a factory environment using the same materials and design laws that would be used in a traditional construction environment. The building is created in separate modules in a factory and then transported to the site for assembly. Once the modules are in place and sealed they become the integrated walls, floors and roof. Due to each module being engineered separately rather than all on site together, modular and prefab construction is generally stronger than conventional building methods. This method of construction is highly sustainable and efficient without compromising on sophisticated design. It also eliminates around 80% of the site location activity such as a reduction in site disruption, vehicle traffic and safety and security risks. This is particularly beneficial for locations in busy, built up areas such as schools, hospitals, shopping centres and city centres where the level of risk is much higher due to more people. Building off-site also reduces waste due to workers only using the exact amount of materials needed to create the modules for the build. This, along with improved quality management, significantly increases the level of sustainability throughout the construction process. Whilst the many benefits of technology in the construction industry are clear, it’s important to note that not everyone in the industry will benefit from these changes. A reduction in labour due to the use of software, robots and machines means a lower demand for construction workers. For construction workers looking to stay in the industry as well as new apprentices, it’s vital they improve their skills and learn new methods such as operating the ones mentioned above. Checkout our Construction Skills Crisis Infographic here.